Thanksgiving week is here and soon the holiday rush will be here. 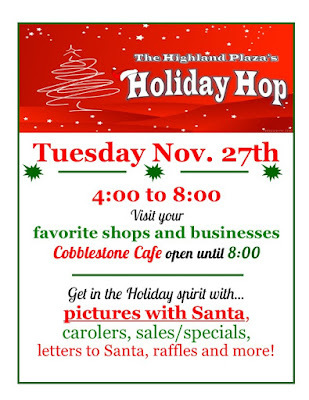 Highland Plaza will be hosting their 3rd annual Holiday Hop on Tuesday, November 27 from 4 to 8 p.m. The Highland Plaza is located at 654 Highland Avenue in Fort Thomas. 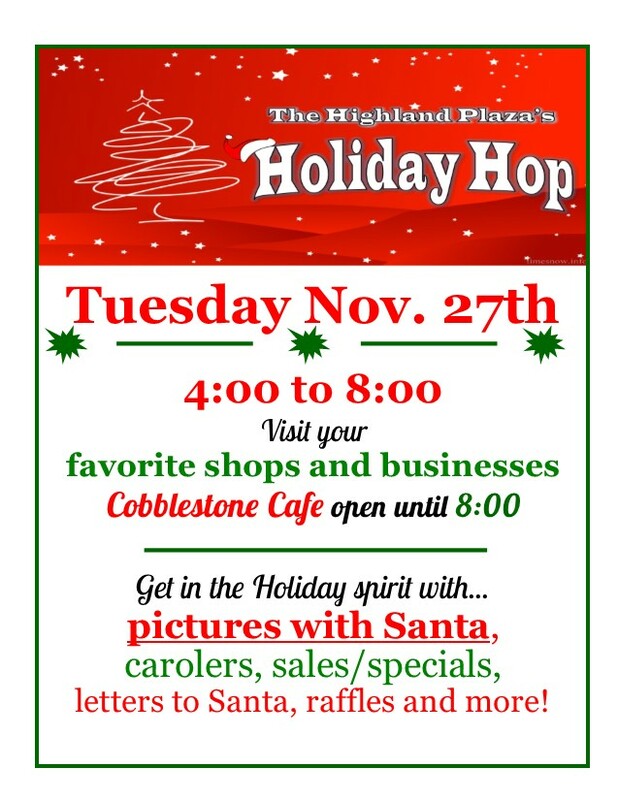 There will sales and specials at most of the shops, pictures with Santa, carolers, letters to Santa, raffles and more. Cobblestone Cafe will open throughout the entirety of the event, so make sure to grab your favorite while they are open during dinner hours. You don’t want to miss this family-friendly holiday event. 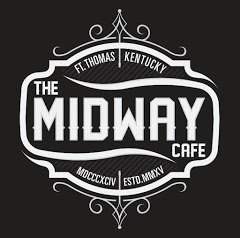 Participating businesses include Monera Chic Boutique, Alterations by Frances, Cobblestone Cafe, HMAC, Faded Finds, Diamonds & Dimples and more.